DISCLAIMER: This is part of a paid collaboration with Latina Mom Bloggers and Disney Pictures. All opinions certainly are our own. Have you sat down to discuss what your children dream of becoming or doing in the future? Have you ever created a ‘vision board’ that helps identify their dreams and fun ideas? You’ll be inspired to do so by seeing ‘Aurora’ all over again in Disney’s Ultimate Fairy Tale Sleeping Beauty Diamond Edition Blu-ray and Digital HD, available for the first time ever on Digital HD and Disney Movies Anywhere on October 7, 2014. It’s time to share ideas on how parents can help their children make their dreams come true. By creating ‘vision boards’ parents can engage in a fun conversation about dreams and how to pursue them. 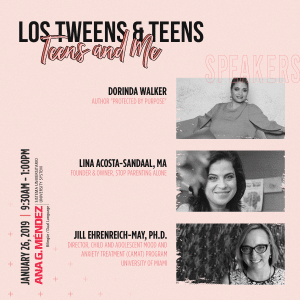 Latina Mom Bloggers is thrilled to partner with Walt Disney Studios to host this sure-to-be adorable and engaging discussion about how we value turning dreams into realities and help encourage this practice in our own families. Join us on Twitter via the hashtag #SleepingBeautyPromo on Thursday 10/9 from 9-10 pm EST! During the Twitter Party there will be a chance to one win the following prizes by answering various questions. Winners will be selected at random from all eligible entries. Prize Pack 1, 2, 3 consists of: (a) one (1) $100 Disney Store Gift Card; and (b) one (1) Blu-ray Combo Pack of Sleeping Beauty Diamond Edition. The TOTAL Approximate Retail Value (“ARV”) of each Prize Pack is: $126.99. NO PURCHASE NECESSARY. VOID WHERE PROHIBITED. Open only to legal residents of the 50 U.S. (+D.C.) who are 18 years of age or older at the time of entry. Registration begins 12:00 p.m. ET on 10/04/14 and ends at 9:30 p.m. on 10/9/14. Twitter Party and Sweepstakes begins at 9:00 p.m. ET on 10/4/14 and ends at 9:59 p.m. on 10/9/14. Registration is required to be eligible for the Sweepstakes. For additional restrictions, eligibility, prizing and full details see the Official Rules. Sponsor: Latina Moms Media, LLC. 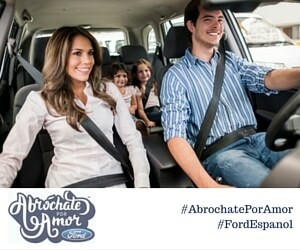 RSVP: To be eligible to win prizes, you must follow @LatinaMomBlogs and RSVP at Latina Mom Bloggers. This entry was posted in Ideas and tagged Disney, Sleeping Beauty, Twitter Parties. Bookmark the permalink.